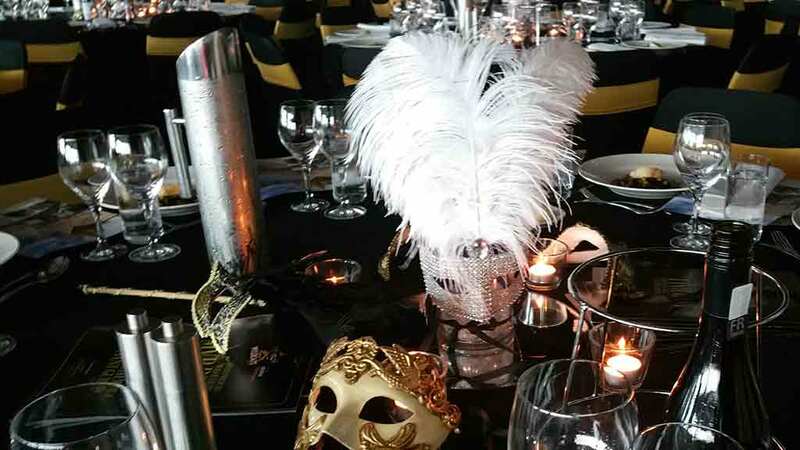 Elegant and Affordable Low Masquerade Themed Centrepieces for masquerade themed events. 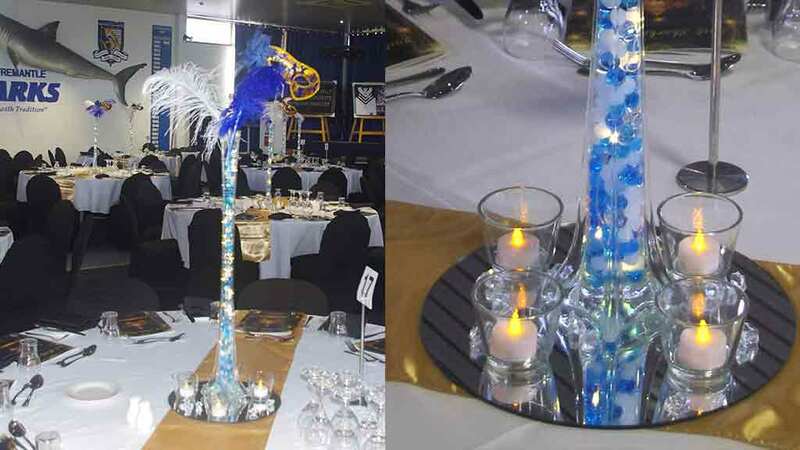 Elegant and Affordable Tall Masquerade Themed Centrepieces for masquerade themed events. 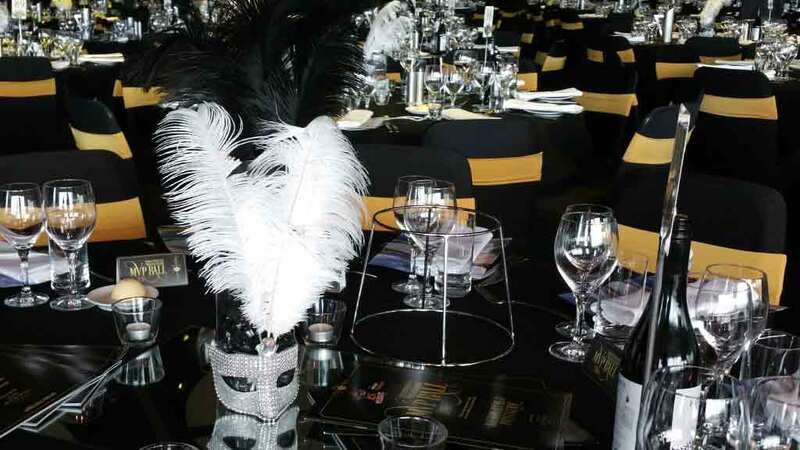 2 masks and a selection of Feathers of various colours to suit your theme. 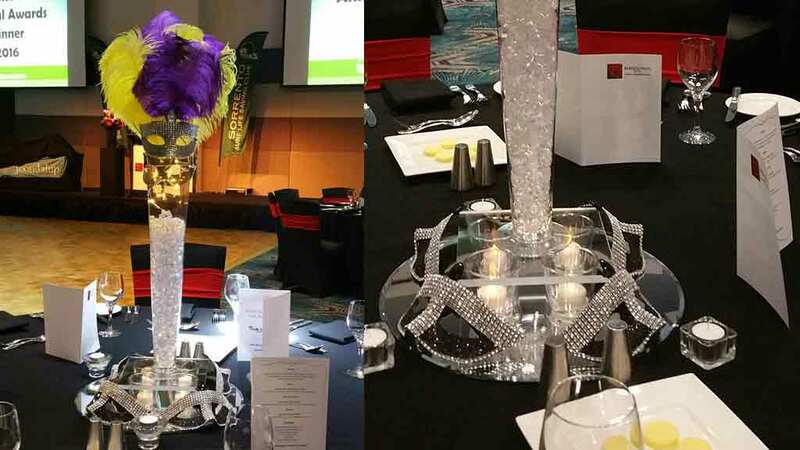 Reserve your Themed Centrepiece today!